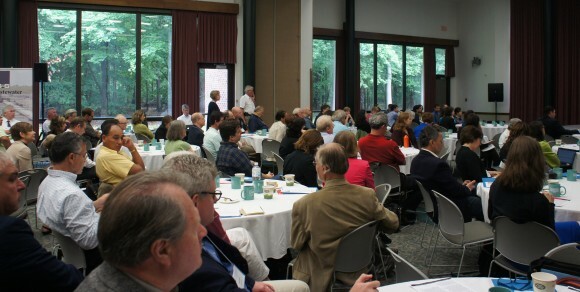 Share the post "How to Bank on the Old Raritan: Rutgers Co-Sponsors Sustainable Raritan River Conference Valuing Natural Capital"
The Sustainable Raritan River Collaborative held its 6th Annual Sustainable Raritan River Conference and Awards Ceremony on June 13 at the Cook Campus Center. Healthy ecosystems are ecological life-support systems providing an array of goods and services vital to human health and livelihood. These natural assets are referred to as “ecosystem services”. 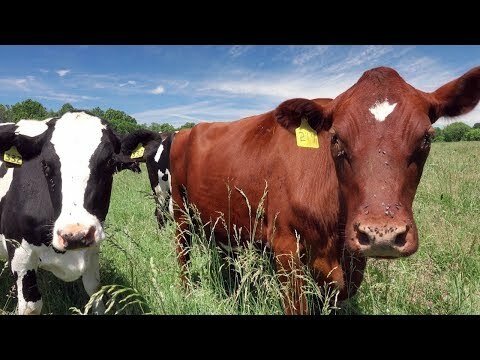 According to the USDA, many of these goods and services are traditionally viewed as free benefits to society, or “public goods” such as wildlife habitat and diversity, watershed services, carbon storage, and scenic landscapes. Lacking a formal market, these natural assets are traditionally absent from society’s balance sheet; their critical contributions are often overlooked in public, corporate, and individual decision-making. When our ecosystems are undervalued they are increasingly susceptible to development pressures and conversion. Recognizing ecosystems as natural assets with economic and social value can help promote conservation and more responsible decision-making. It is in this vein that the Sustainable Raritan River Collaborative held its 6th Annual Sustainable Raritan River Conference and Awards Ceremony on June 13 at the Cook Campus Center with the theme “Valuing Natural Capital and Ecosystem Services.” The conference is part of joint initiative of Rutgers Edward J. Bloustein School of Planning and Public Policy and the School of Environmental and Biological Sciences (SEBS). The conference was broken into four sessions with panel participants addressing concepts, practice, examples and outcomes of valuations, with the final session focusing on tangible next steps. Panel members represented academia, local government and conservation organizations. An introductory session included James Hughes, dean of the Bloustein School, who provided perspective of New Jersey’s unique demographic diversity juxtaposed with its unique natural environment, and Jeanne Herb (CC ’81), associate director of Environmental Analysis and Communications Group at Bloustein who discussed work she did on a 2006-2007 DEP study to put a monetary value on New Jersey’s ecosystem. Despite the valuation as an $8.6 billion per year asset, Herb said that the study outcomes were not embraced in policy decision making. Panel presenters provided a wide range of perspectives on valuing natural capital. Panel moderator Ken Klipstein, director of Watershed Protection Program for the New Jersey Water Supply Authority, pointed out the savings of proactive ecosystem protection, by stating “the cost of restoration is really high.” Elizabeth Schuster, environmental economist with The Nature Conservancy, using Cape May as an example pointed to the success of the “you build it they will come” strategy with natural capital. By preserving wildlife habitat, the birds flock to the Cape May area, and the birdwatchers follow, adding $21 million to the economy. 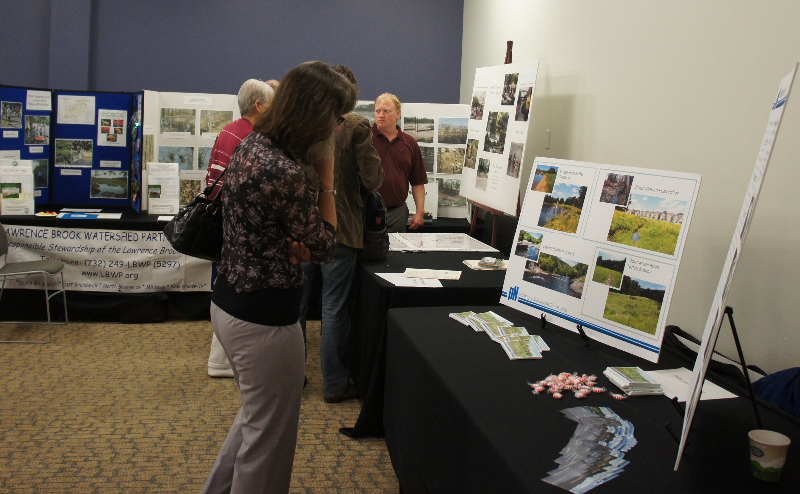 The exhibit area at the conference featured displays from watershed and conservation organizations. Speaker Beth Ravit, co-founder, Center for Urban Environmental Sustainability at SEBS noted that “the decisions made in New Jersey on natural capital are often land use decisions.” Ravit also emphasized that the legislation developed 30 – 40 years ago were made when conditions were different from today. Patricia Elkis, deputy director of the Delaware Valley Regional Planning Commission, focused on open space as a type of natural capital. Her presentation looked at Southeastern Pennsylvania as a case study and highlighted the economic and health importance of open space and trail systems. Lunchtime speakers included SEBS Executive Dean Bob Goodman, and Gerald Kauffman, director of Water Resource Agency at University of Delaware. Kauffman, a Rutgers graduate (RC ’81) and New Jersey native, gave the keynote focusing on how improving water quality can reap economic benefits. Also during the lunch session was the presentation of the 2014 Sustainable Raritan River Awards. Awards are presented annually to recognize outstanding achievement in efforts to revitalize the region, restore and protect resources, and promote the area as a premiere place to live, work and raise a family. This year’s awards were given to organizations and individuals for government innovation, public education, stewardship, public access, non-profit innovation, sustainable business and leadership. This recently-opened $5.8 million structure includes some 24,000 square feet of flexible learning space which was funded by a unique public/private partnership. Raritan Valley Community College is in the process of applying for LEED Gold certification for the building. Key innovations include a rainwater harvesting system that provides water for 18 toilets in six bathrooms as well as for “living wall” of vegetation which improves the indoor environment by absorbing noise, filtering air, and creating a natural setting for students. The building is also a model of energy efficiency and the use of recycled building materials. Denise Birmingham’s students learn about sustainability, healthy living, and environmental awareness as participants in the Readington Middle School Garden Club. For the past eight years Birmingham, the club’s advisor, has helped the students plan and grow fruits and vegetables, flowers, and berries. In addition to building school pride and empowering the students to take ownership of the school, the Garden Club donates food from their efforts to the Flemington Food Pantry. Birmingham’s leadership is a wonderful example for her students, her fellow educators, and her community. In the year since their grassroots efforts began, the Central Jersey Stream Team motivated more than 150 volunteers to remove at least 614 tires and 70 cubic feet of other trash from the Raritan River and its tributaries. As one of their supporters proudly noted, “Seeing their progress in mobilizing the local community and cleaning up this beautiful resource is truly inspirational.” The Central Jersey Stream Team’s stream clean-up work has introduced many new stewards to the Raritan River. Their success reflects great credit on the leadership of the Central Jersey Stream team and should be a source of pride for all who work to improve our River. After suffering serious damage from Hurricane Sandy, this waterfront park in the western Middlesex County was completely transformed from an unsafe “attractive nuisance” to a welcome water-based recreational facility. Under the guidance of Mayor Brian Wahler and Architect Henry Hinterstein, and through active participation in several Sustainable Raritan events and studies, the park now features water trail signage, an ADA-compliant dock which can easily be disconnected and relocated to higher ground in storms, and serves as a safe and valuable recreational asset for fishermen, canoeists and kayakers. Alan Godber founded the Lawrence Brook Watershed Partnership in 1997. The Partnership has established water quality monitoring programs, organized hundreds of volunteers for lakeside clean-ups, fought invasive plants, educated the public, preserved open space, and worked with governmental, business, academic, and non-profit partners to improve water quality in Milltown, East Brunswick, South Brunswick, New Brunswick, and North Brunswick. Godber’s leadership has contributed significantly to improved sustainability and the quality of life throughout the watershed and within the Raritan Basin. Sustainable Business Award—Shiseido America, Inc.
Shiseido America is implementing an ecopolicy to encourage environmentally conscious practices across all aspects of its business including manufacturing processes, recycling materials, energy efficient buildings, and eco-friendly packaging. Shiseido constructed the largest single-roof solar system in New Jersey at its facility in East Windsor, NJ, reducing its energy demand by 35%. Plant lighting and boiler upgrades helped improve the facility’s natural gas efficiency by 34%. The combination of Shiseido’s sustainability efforts eliminate 1,500 tons of carbon emissions per year and set an example for other companies to follow. Bob Bzik has had a long and distinguished career serving as Director of Planning for the County of Somerset. Under Bzik’s leadership, the Somerset County Planning Board has earned the reputation as one of the premier planning organizations in the State by addressing emerging trends and issues, and applying smart growth, sustainability and resiliency concepts. All of these efforts are grounded in partnership-building and collaboration with many stakeholders, including the Sustainable Raritan River Collaborative. Bzik has demonstrated a life-long commitment to sound, balanced regional and local planning, will be retiring from his county planning position on July 1, 2014.